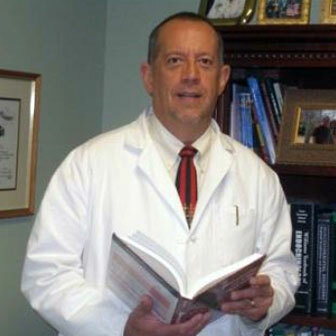 Dr. Kleber received his Doctor of Chiropractic degree at New York Chiropractic College in 1982. He also earned his Diplomate Degree from the American Board of Chiropractic Internists in 2000. He is one of two coordinators of the DABCI program, certified by the Council on Diagnosis and Internal Disorders. His interest in internal medicine began when he came to believe that his patients were suffering from more than just subluxations, but serious internal disorders continually exacerbating the subluxations. His desire to learn more about these issues stemmed from his dedication to improve not only the health of his patients, but the quality of their life, with natural medicine. As a Chiropractic Internist, Dr. Kleber is equipped to diagnose and treat a full spectrum of conditions from a common cold to chronic illness and disease. He is in the unique position of utilizing advanced diagnostic methods to uncover the source of illness and then treat with holistic and natural supplements to correct illness. Early on, he had a keen interest in endocrinology, believing that thyroid disorders are frequently misdiagnosed, misunderstood and poorly managed. He is recognized in the industry for his expertise in the accurate diagnosis and successful treatment of thyroid disorders without pharmaceutical interventions. With more than 29 years experience as a chiropractor and more than 11 years as an internist, Dr. Kleber has built a successful practice in Colorado, providing alternative options to those who have exhausted the traditional field of medicine with no success. Using a synergistic approach to caring for his patients, Dr. Kleber finds the combination of nutrition, blood work, hormonal balancing, and chiropractic has brought powerful new tools to their successful treatment.